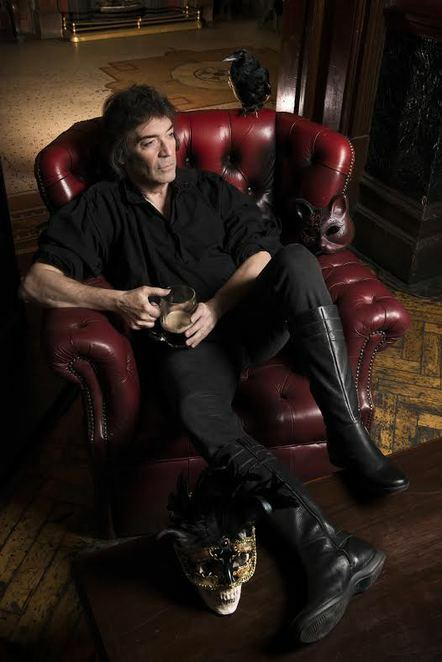 Guitarist and singer Steve Hackett is marking the 40th anniversary of his debut solo album with a box set of reissues and a UK tour that visits Birmingham Symphony Hall on October 30. 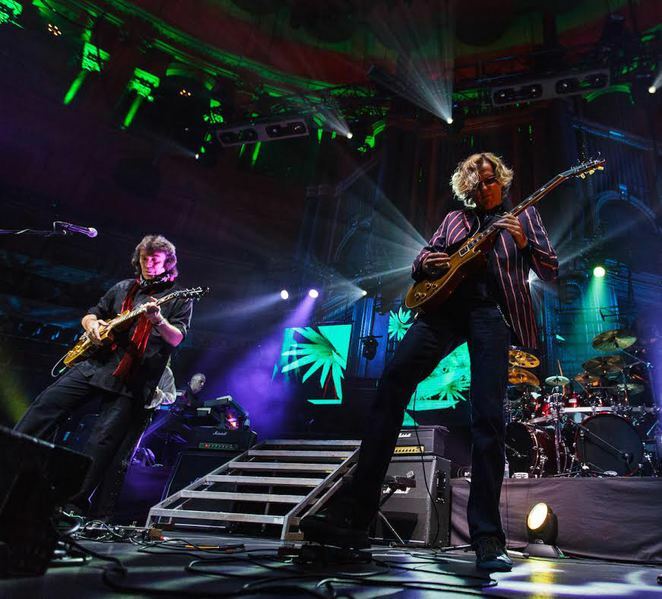 The 65-year-old former Genesis musician will celebrate the landmark by performing tracks from the whole of his career during the tour dubbed Acolyte to Wolflight with Genesis Revisited. Voyage of the Acolyte was his first solo album, released in 1975, with Wolflight his most recent, released in March this year. "I'm looking forward tremendously to creating a show celebrating both early material and my latest album using magical surround sound,'' he says. ''We're also involving a whole new set of Genesis classics, including several numbers I've not played since the Seventies, such as Can-Utility and the Coastliners, Cinema Show and Lamb Lies Down On Broadway and Get 'em Out By Friday..."
Joining Steve on stage will be Roger King on keyboards, Gary O'Toole on drums, Rob Townsend on sax, Roine Stolt on bass & 12-string guitar and Nad Sylvan on vocals, with vocalist/guitarist Amanda Lehmann performing at some of the shows as special guest. Roine Stolt led two of Sweden's most successful progressive rock bands: Kaipa in the 1970s and The Flower Kings from the 1990s onward. 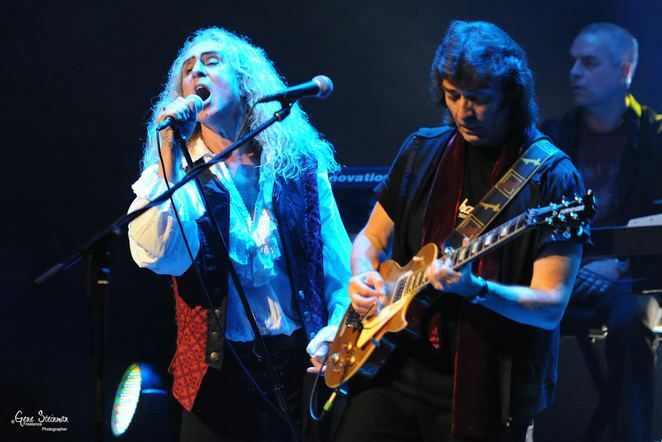 Steve says: ''I'm really pleased that Roine will be joining the band for the autumn shows on bass, twelve string and for some songs doubling on electric guitar with me. Roine is a truly impressive and versatile player and I particularly like his work with other bands and artists. I have enjoyed playing with him live on more than one occasion and I'm thrilled he's going to join the team. It's marvellous to have both Swedish talents Roine Stolt and Nad Sylvan as part of the band for these Hackett solo/ Genesis Revisited shows." Steve made his mark on Prog Rock in the '70s as Genesis' lead guitarist, before leaving in 1977 to pursue a solo career. He was the first member of Genesis to release a solo album, Voyage of the Acolyte in 1975. That record is included in the new box set, Premonitions - The Charisma Recordings 1975-1983, a comprehensive reissue project that includes his first six albums on the Charisma label, together with a wealth of previously unavailable recordings and remixes by Steven Wilson. It is released on October 16. "I'm pleased that Steven Wilson has done several new mixes in both surround and stereo," Steve says. "The box set will also contain a number of live shows from the era. ''I've enjoyed being involved with this comprehensive trip down memory lane. There's also a substantial booklet containing a lot of background info along with many wonderful Armando Gallo shots, and Roger Dean has painted a beautiful picture for the cover. For me, it's a proud souvenir that highlights those years. ''I'll play plenty of this early work at shows in the autumn which will include some numbers not played live for many moons, like Icarus Ascending and Star of Sirius plus all time faves such as Every Day and Spectral Mornings." 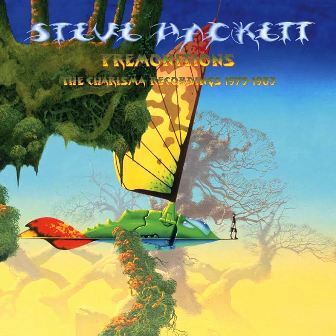 Steve's two most successful albums from the Charisma era, Please Don't Touch and Spectral Mornings, will also be re-released separately next year in a deluxe expanded version with mixes by Steven Wilson.